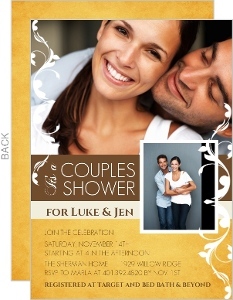 If you're doing the less common thing and having a couples shower where everyone gets invited, not just the girls, then we can help. 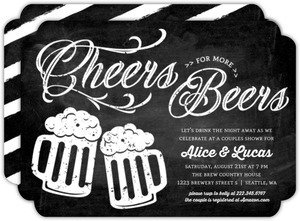 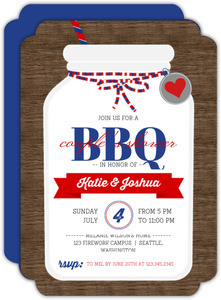 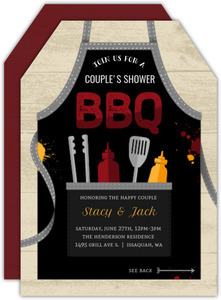 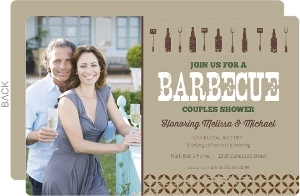 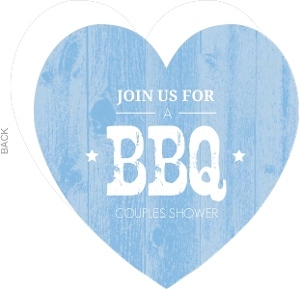 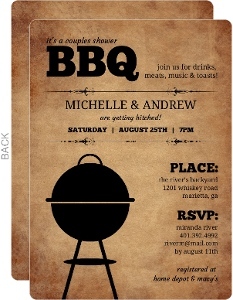 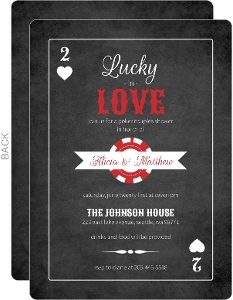 We've got designs that are great blend of what everyone expects in a couples shower, be it a BBQ or a game night, we've got just the cards. 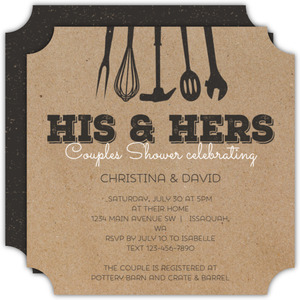 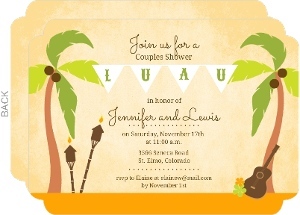 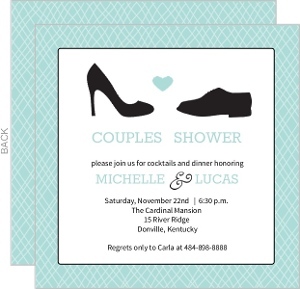 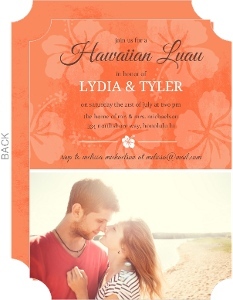 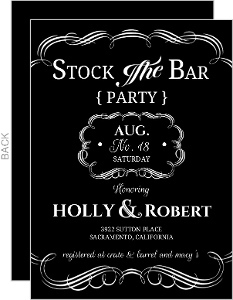 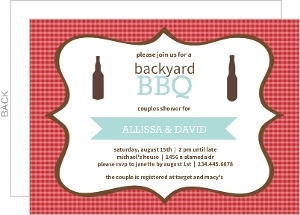 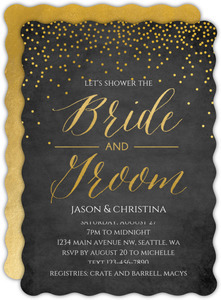 Couples Shower Invitations are noticeably less girly, and encourage boys to attend too, lest the groom to be get bored and lonely. 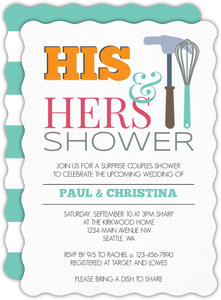 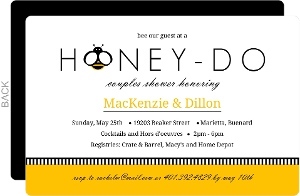 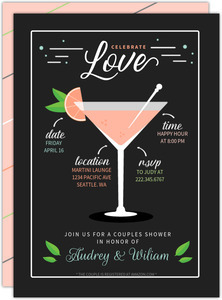 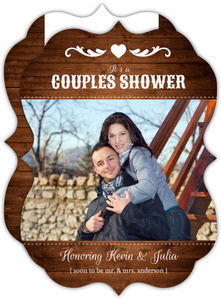 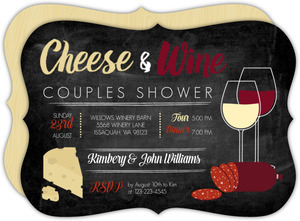 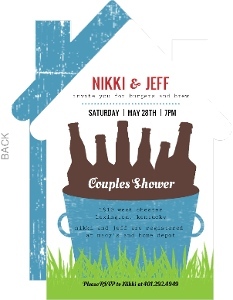 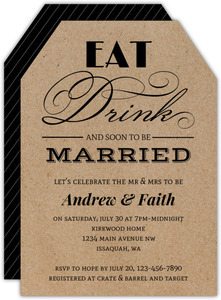 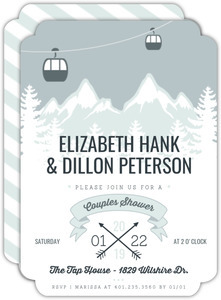 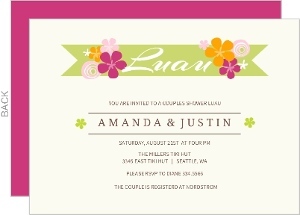 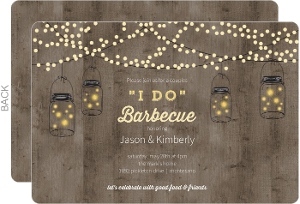 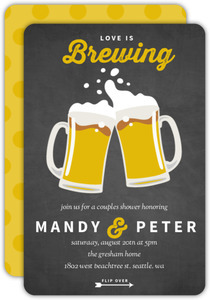 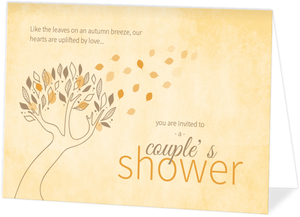 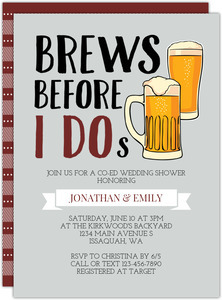 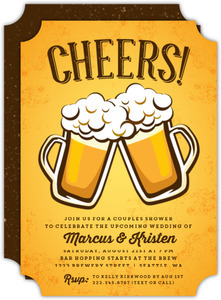 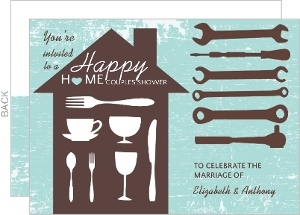 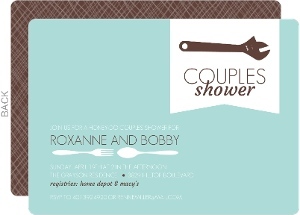 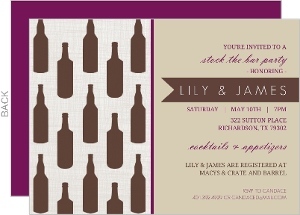 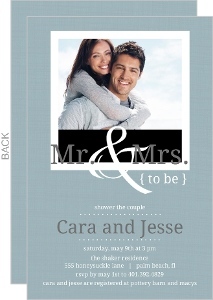 Don't let the groom get lonely, invite his friends too with the perfect couples shower invites you created on Wedding Paperie.